Caught between two worlds—one of nature and one of nurture—Michael Burnham is an orphaned human who was raised on Vulcan after being adopted by Spock’s parents Sarek and Amanda. When she chooses to join Starfleet, she finds that, despite being human, her Vulcan upbringing has made connecting with those of her own species difficult. As she moves up through the ranks, she must allow herself to love and be loved by her new family aboard the USS Shenzhou and later the USS Discovery. 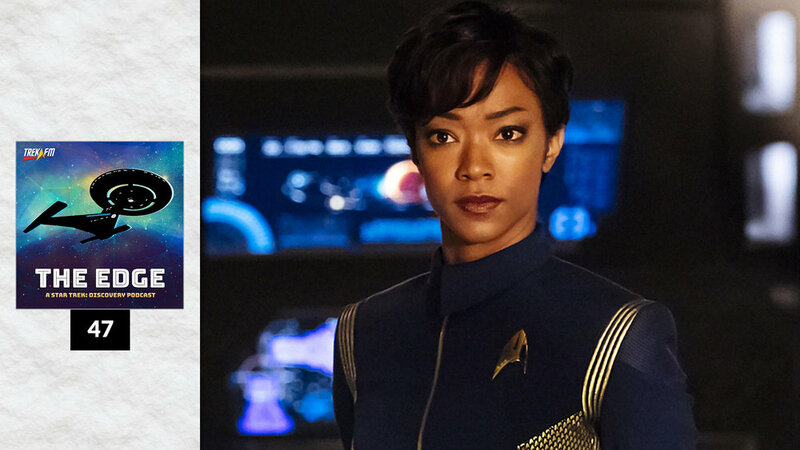 In this episode of The Edge, hosts Amy Nelson and Patrick Devlin are joined by Bill Smith of Trek Geeks to explore the character of Michael Burnham. We discuss her reasons for disobeying Captain Georgiou and question if it was mutiny or treason. We also explore how being raised Vulcan changed her life and debated whether there truly are second chances.